If it seems as though your commercial roof is frequently springing a leak or you have noticed that it simply doesn’t look as good as it once did, you might naturally turn your attention toward the thought of buying a new building. Moving locations can present an extensive list of challenges to any business, including increased cost and the potential for losing business due to a loss of traffic patterns. In reality, you might not actually need a new building but instead just a new commercial roof. Over time, any roof can become vulnerable to wear and tear and begin to experience a variety of issues, including leaks. As is the case with a residential roof, commercial roofs frequently need to be replaced after a certain number of years of use. Opting to replace your roof rather than move locations can help you to solidify your investment in your property while also saving a tremendous amount of hassle and even expense. 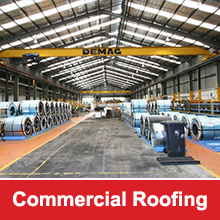 The roof of your commercial building is important to the structure of your building for a variety of reasons, including the fact that it serves as the first line of defence from numerous natural hazards, including fire, rain, wind, and extreme heat. In fact, the roof of your commercial building is actually one of the most vulnerable elements of your building. Each and every day, the roof of your building is exposed to all kinds of weather. 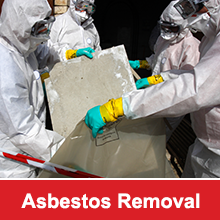 Over time, this can contribute to deterioration and decay, further increasing the risk for danger not only to the roof of your building but also the contents of your building. How can you be certain whether now is the right time to replace your commercial roof? In many instances, you can often see indications that there is a serious problem inside your building. For instance, you might see water stains on the ceiling, which could indicate a leak from a hole or crack in the roof. Although a small leak might not seem to be much of a problem, it can actually be an indication of big trouble. Additionally, if you have noticed odours or mould inside your building, this could also be an indication of a problem with the roof, such as a leak that has caused water penetration. If you have noticed any of these issues, a physical inspection of the roof is often in order. Ideally, it is best to contact an experienced commercial roofing contractor to examine your roof to ensure the inspection is performed correctly and safely. When inspecting your roof, there will be several areas the contractor will examine to determine whether replacement is necessary. One of the first visual clues that may indicate the need for replacement is the presence of prolonged standing water on the roof. Over time, this can lead to premature aging of the roof as well as deterioration that can result in leaks. When leaks go undetected over time, they can gradually cause steel roof decks to rot and resulting in serious damage to the roof decking. If the contractor notices any such visual clues, replacing your commercial roof can help you to protect your investment in your commercial building.